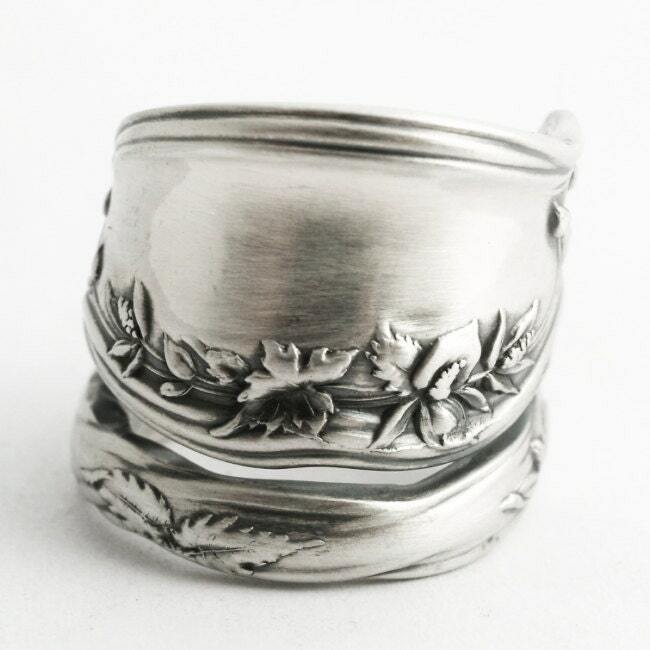 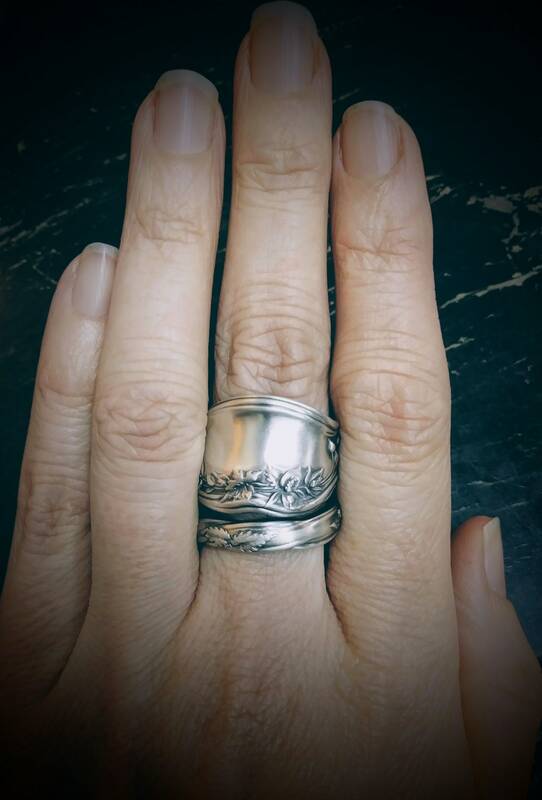 Genuine vintage sterling silver spoon, handmade into a beautiful ring! 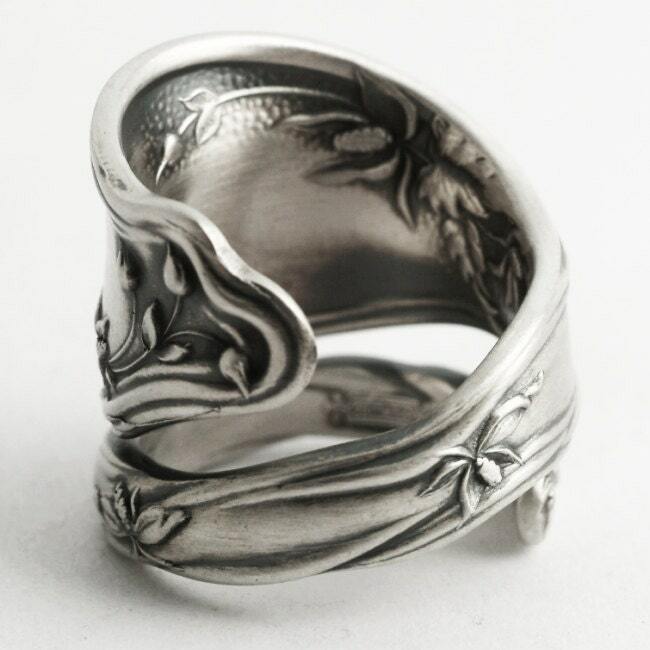 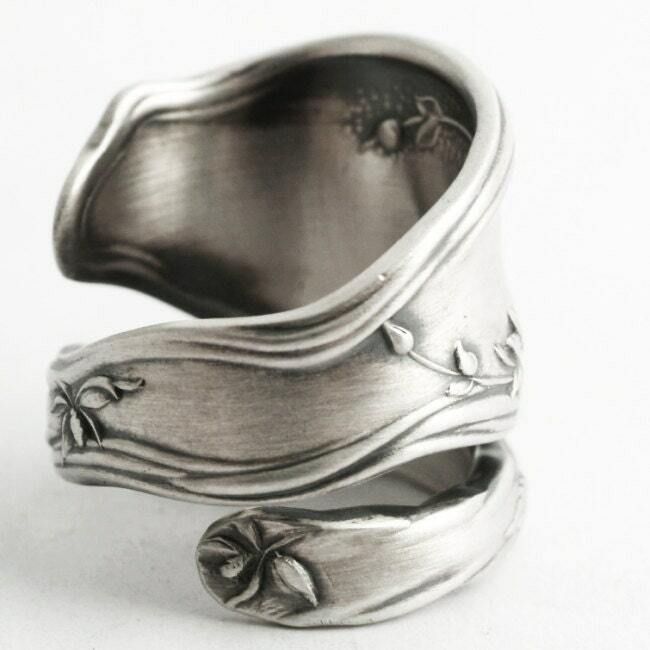 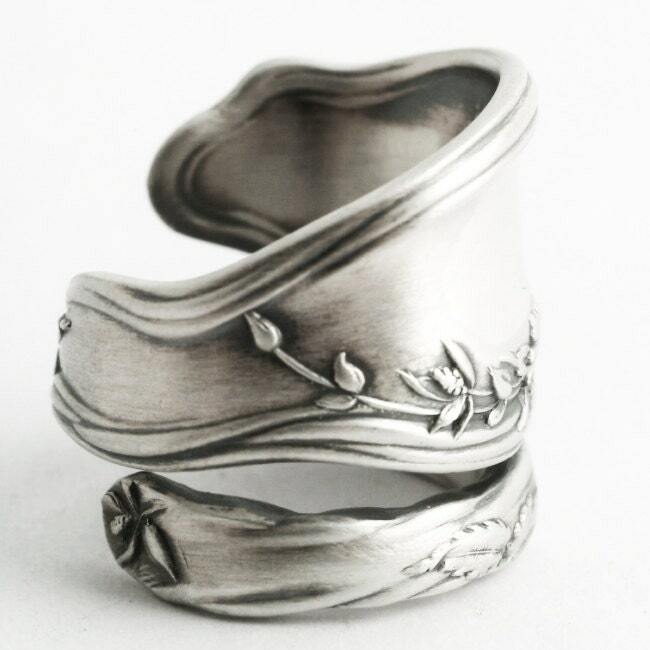 This ring depicts a high relief leafy vines in excellent crisp detail! 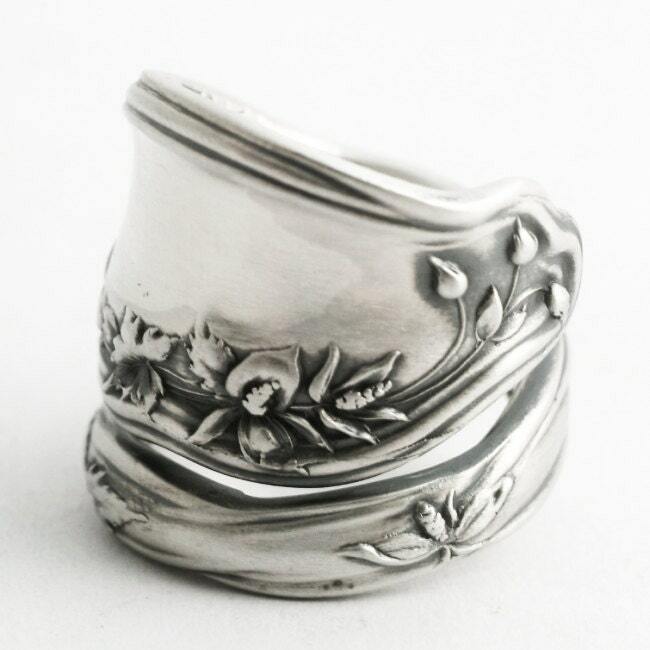 Made by the International Silver Co this spoon was made in 1904 named "Mariposa Lily". 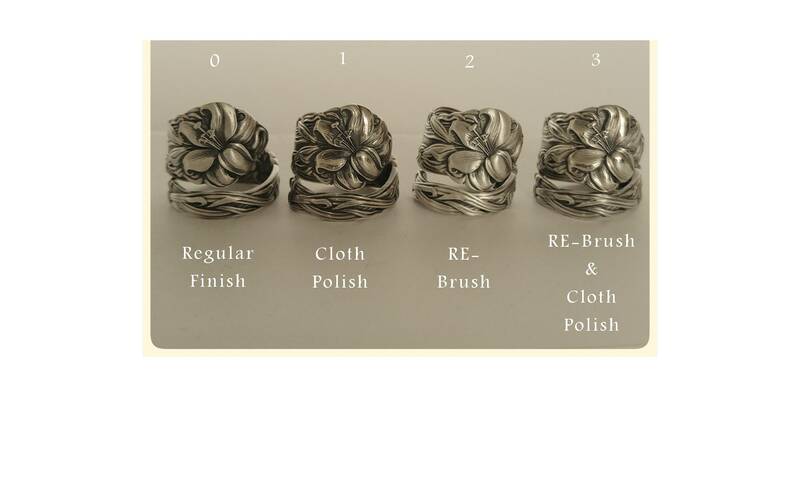 Each ring has a story of it's own, a journey it has traveled in its 110 year life! 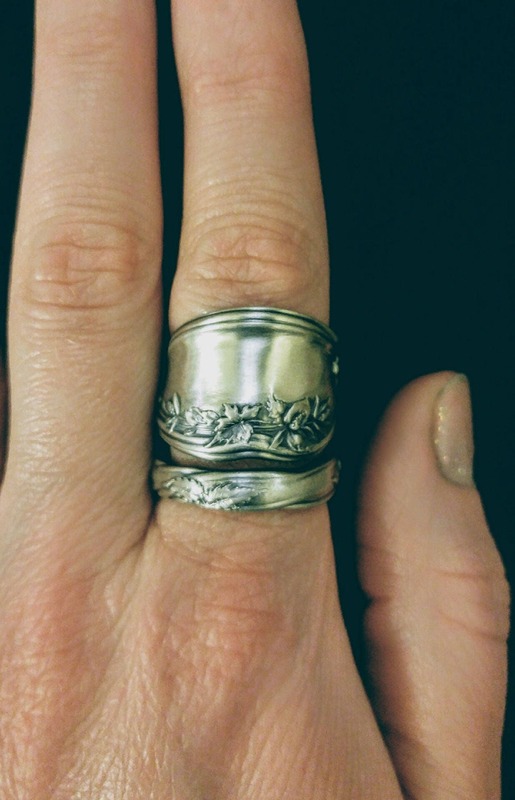 Perfect for someone who likes substantial rings without being to flashy.